You must be a member of the Vienna Spice Lovers Group to attend this activity. Would you like to join this group? Let's go to one of the most authentic Mexican restaurants in town, followed by a visit to a cooking studio to learn what we ate. 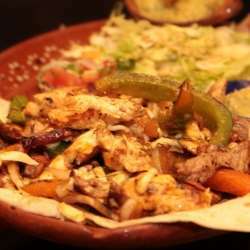 According to me Protected content is quite an authentic Mexican restaurant for some particular Mexican dishes. So, Let's go to Protected content for dinner on Saturday, 16th February Protected content . We will meet inside the restaurant around 18:00 and enjoy the authentic Mexican Cuisines for one and half hour, Around 19:30 (Flexible to the mood of the group) we will move from the restaurant to a cooking studio to learn what we eat. For booking the cooking studio and for the raw materials of cooking, I have to collect a € 10 fee from everyone. As I have to pay for the cooking studio in advance for booking, I humbly request everyone to transfer the money to the following PayPal/Bank account, as soon as you register for the event. An accurate guest list is necessary for me to make the arrangements, so please register if you 100% sure to join. And as usual if by any chance you are unable to attend, according to InterNation rules, please cancel 24 h in advance. I am looking forward to seeing you all on Saturday 16th February.